Experience Auckland the City of Sails by going for a sail or take the first steps towards learning to sail. This is also a good opportunity for some mile building time. People have found this a good opportunity for a refresher course in preparation for a charter. Whether you have never sailed before or would like some mile building – get in touch. We will create an awesome sailing experience just for you. You can decide how active you want to be. Thanks again for a wonderful day sailing! I returned home and told my family all about beautiful New Zealand and sailing there. It was such a wonderful day! Thanks again and I hope I will return soon! Just a quick message to say thanks again for the Learn to Sail course. I thoroughly enjoyed myself and feel I learned loads – although there’s still quite a bit to go, I know! The “river of wind” makes it much easier to understand, so keep going with that! Needless to say, I’m now keen to get back out onto the water. 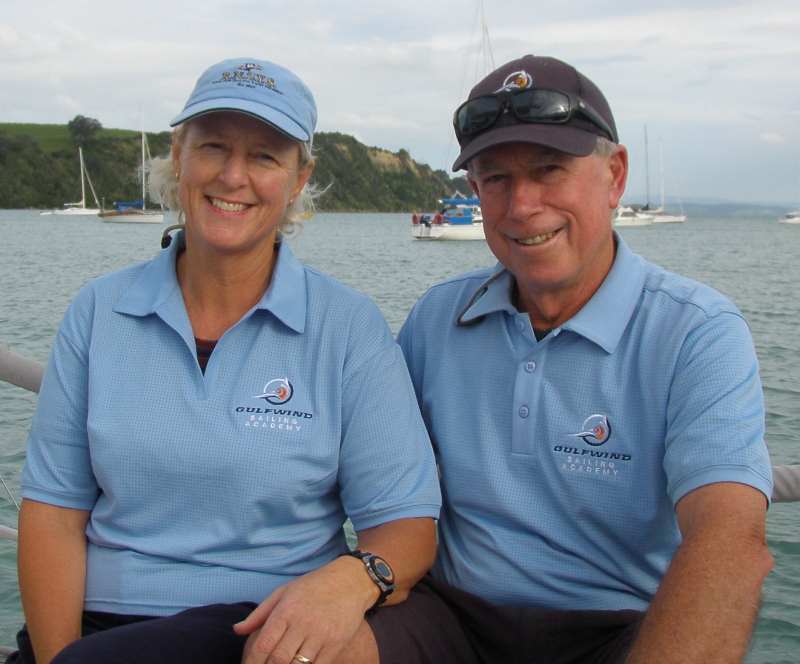 Mike and Sheryl have enjoyed a lifetime of sailing. They have sailed and operated many different types of boats from trailer sailors through to ocean going yachts. They have an extensive knowledge base to call upon for safe and pleasurable sailing and cruising.